We rarely write back to back stories on Medicaid fraud. Sometimes the stories are just so colorful and outrageous that they need to be told. Earlier today we wrote about Medicaid fraudster Erv Brinker who is behind bars after using over one half million dollars of taxpayer funds for a personal psychic. Now we share the story of “Dr.” Nathaniel Johnson. Johnson is a former licensed physician from Smyrna, Georgia. We say “former” physician because he surrendered his license to practice medicine and was put in jail after being convicted of Medicaid fraud. He may not have learned much during his time behind bars, however. Press reports say he was arrested again, this time for practicing medicine without a license. 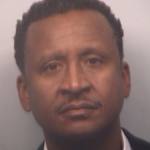 Police in Cobb County say they have received complaints that Johnson was performing cosmetic surgeries at the Hello Beautiful Cosmetic Surgery Center. 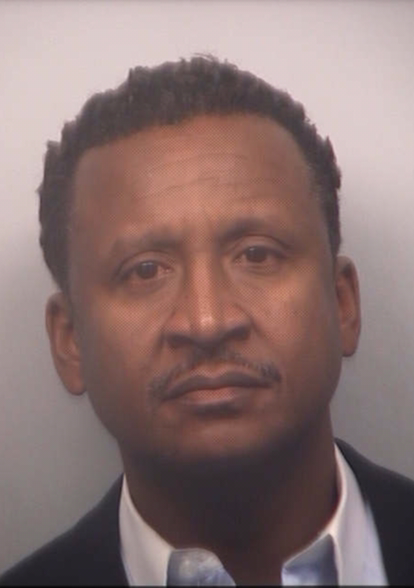 A former neighbor claims that Johnson was previously an OB-GYN doctor at the time of his prior arrest and was later ordained as an elder in the Changing A Generation Full Gospel Baptist Church shortly after being released from prison. Considering Johnson recently was released from prison, his apparent fall from grace appears to have happened quickly. We remind everyone that criminal defendants are innocent until proven guilty. In fact, Johnson’s lawyer says the only truth behind the new allegations is that Johnson was arrested. We will be interested to see how this case plays out. Whether or not Johnson is guilty, there is a much larger issue of Medicaid fraudsters coming back after conviction and inventing new schemes to harm the public. Today there are many online tools to tell if your physician is licensed. A call to the state can also quickly reveal if your therapist, counselor or clinic is licensed. That may be what tipped off a concerned patient to call the cops. Our concern in all of these cases extends well beyond the money these thieves take from taxpayers. The real concern is the health, safety and welfare of their patients. Would you trust an unlicensed, convicted felon with your healthcare? Surgery? Probably not. Although this case is a bit odd, the more common problem occurs when a licensed professional allows others to operate under his or her license. Often we see foreign physicians from substandard medical schools or doctors that have had their licenses pulled simply operating under someone else’s license. The danger to patients in those cases is huge. Georgia is one of 30 states and the District of Columbia that pays awards to those who report Medicaid fraud. The federal government pays awards nationwide for those who report Medicare fraud. Under the Georgia State False Medicaid Claims Act, whistleblowers with inside information about Medicaid fraud can get up to 30% from whatever the government collects from wrongdoers. With triple damages, the awards can quickly add up. If the allegations against Nathaniel Johnson are true, there probably isn’t any award in this case because cosmetic surgery is rarely covered by Medicaid. Most other medical and surgical services are covered, however. To claim an award, you generally must be the first to file a sealed complaint and must base your complaint on inside (“original source”) information. Need more information? The Medicaid and Medicare fraud lawyers at MahanyLaw have helped whistleblowers collect over $100 million in awards. All inquiries are confidential and without obligation. Our services are charged on a contingency fee basis meaning we don’t get paid unless you recover an award. Worried about retaliation for reporting a Medicaid fraudster? Retaliation is against the law and may allow you to recover even more money. We can help protect you from any possible retaliation.